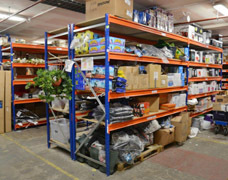 Mixed goods retailers have a wide range of product sizes as well as a continually changing stock profile that demands a flexible and space efficient stockroom shelving system. 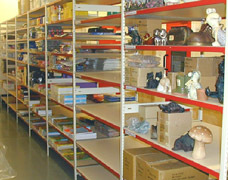 Trimline boltless shelving provides the flexibility with its wide shelves and 25mm height adjustment that enables the shelving to be adjusted to fit the stock being stored. 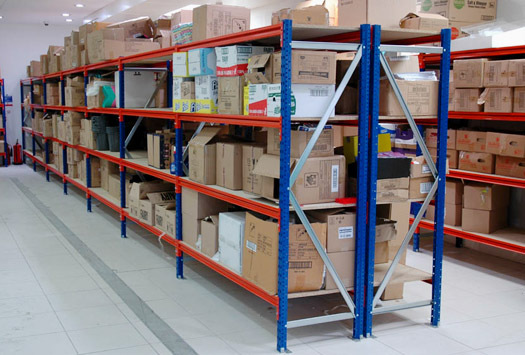 The combination of narrow uprights and slim shelf beams reduce the amount of space used by the shelving and provides 8-10% more stock capacity than other shelving systems. 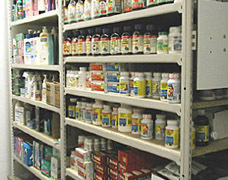 The narrow upright also means that stock isn't obscured and the uninterrupted shelves allows quick and easy access to stock. 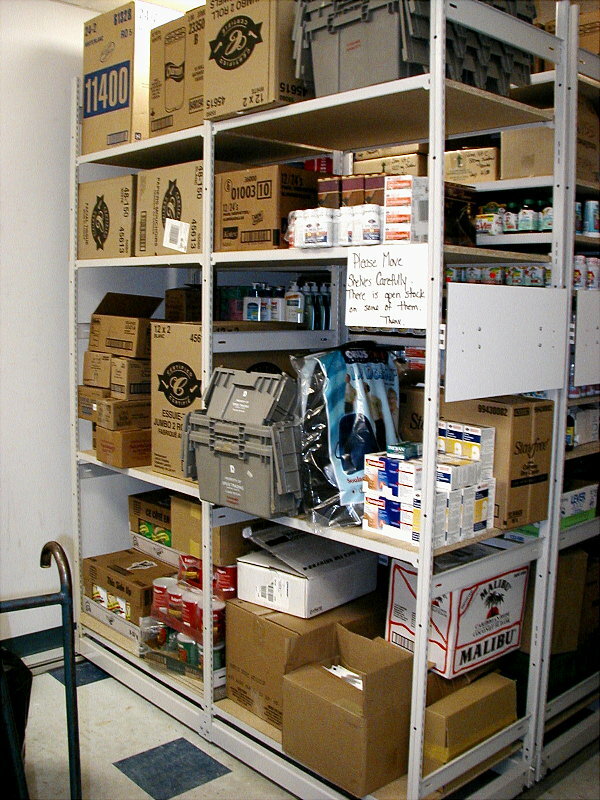 Heavier duty storage racks (shown above-left and right) are also available for those retailers who need to store heavy or bulky items in the stockroom. 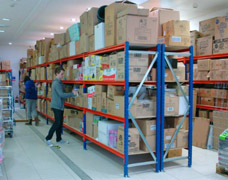 Hardware retailers have a wide range of different sized products to store and this requires a flexible system that will accommodate all of the possible stock variations. 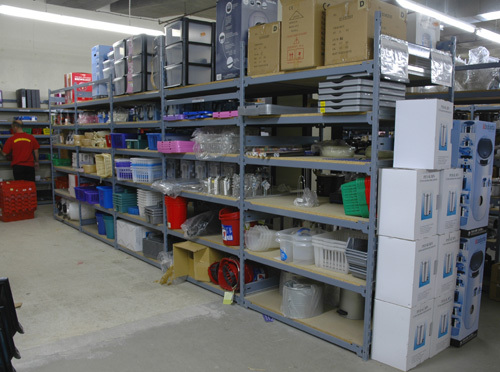 The E-Z-RECT Type 1 shelving system is ideal for this type of application as it benefits from wide-span shelves that will accommodate the bulky items and has 50mm height adjustment to help create perfectly sized storage areas for small and large items alike. Wider shelves provide more uninterrupted shelf space and thus accommodate greater combinations of shapes and sizes. 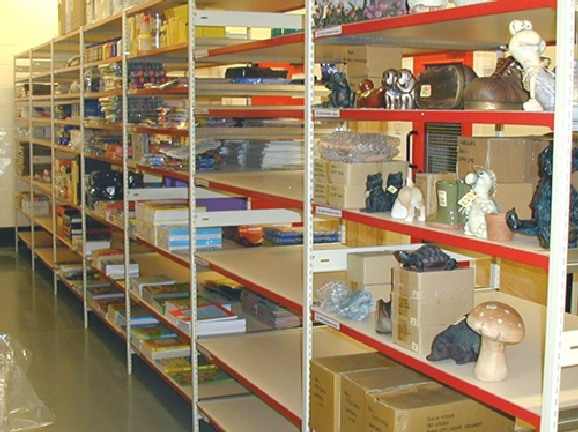 Double depth storage shelving is the most cost effective solution as this provides picking from either side as well as deep shelves for those over-sized items. 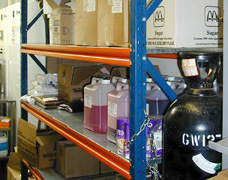 Grocery retailers have a wide variety of product to store from personal care products to tinned food and wines & spirits. 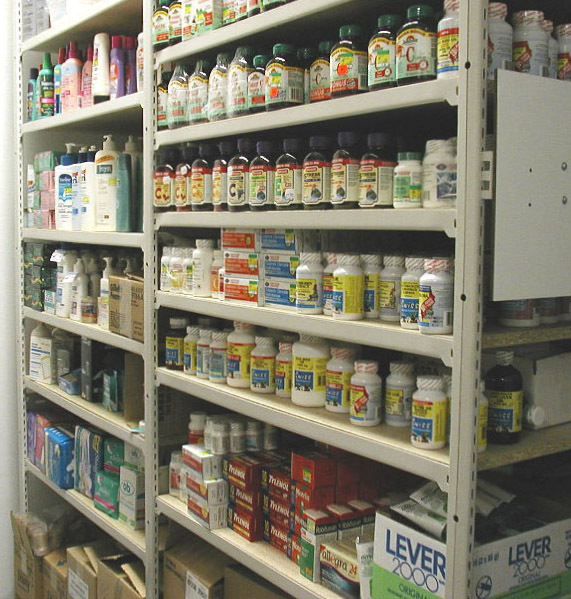 EZR provide solutions for each application and the image to the right shows Trimline shelving within a pharmacy store. The slim shelves used here have 25mm height adjustment allowing the shelf openings to be set to suit the product size and type eliminating wasted space and maximising storage capacity. 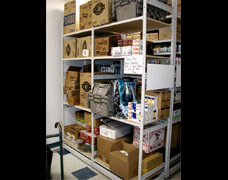 In this application the pharmacy store was created using a mesh cage that provides a safe and secure storage space. 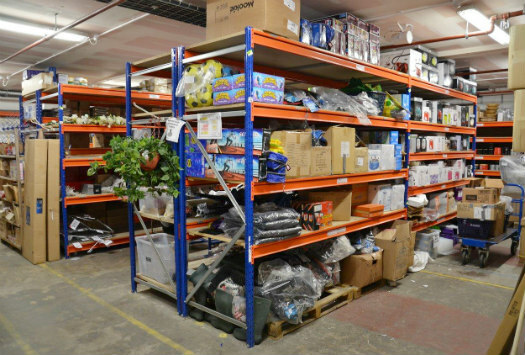 Heavy and bulky items require a different solution and the longspan racking seen in the main image below-left used galvanised shelf panels that are removable and easy to clean in the event of product spillage. 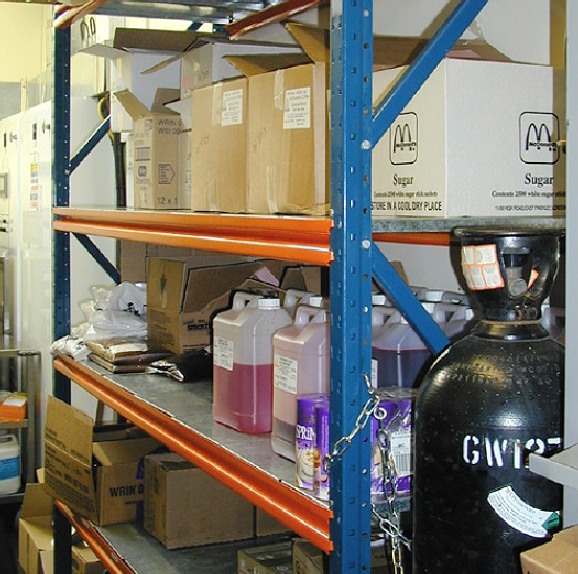 Tinned food and liquid are amongst the heaviest items stored and shelves need to withstand loads of up to 300Kg per square metre in many cases. 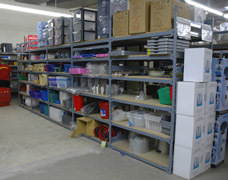 Contact us today for further information and advice on our range of dry goods racking and shelving storage units. Contact us today to discuss how we can help you make the most of your existing storage area.